The UN general assembly in New York, the world’s largest diplomatic event, turned into a show of EU solidarity with Russia and China against the US on Tuesday (25 September). The development, which came about over Iran, symbolised a world-turned-upside-down by US leader Donald Trump’s unilateralism. It left Mike Pompeo, Trump’s foreign policy chief, “disturbed and indeed deeply disappointed”. “This is one of the of the most counterproductive measures imaginable for regional and global peace and security,” he told press, after seven decades in which the US and EU had stood together against common adversaries, such as Russia, in the so-called “transatlantic relationship”. The measures Pompeo referred to were the creation of a “Special Purpose Vehicle [SPV]” to enable the EU and others to buy Iranian oil in a way that skirted Trump’s new sanctions on Iran. “Everything that Ms Mogherini has said is extremely positive,” Vladimir Yermakov, a senior Russian diplomat, told press, referring to EU foreign policy chief Federica Mogherini. He spoke after Mogherini chaired a meeting with the foreign ministers of Russia, China, Iran, France, Germany, and the UK in New York earlier the same day. “EU member states will set up a legal entity [the SPV] to facilitate legitimate financial transactions with Iran and this will allow European companies to continue to trade with Iran in accordance with European Union law and could be open to other partners in the world,” she told press alongside Iranian foreign minister Javad Zarif in the margins of the UN assembly. EU technical experts would shortly meet to flesh out details, she said. “Do you have any better alternative than talks in times of conflict and crisis in the world? Is there a better alternative than diplomacy and dialogue? Is war a better alternative?”, she told US broadcaster CNN in an interview on Tuesday. The EU, Russia, and China “deeply regret” Trump’s decision, they added in a statement. His sanctions went against “multilateral diplomacy endorsed unanimously by the UN Security Council,” they added. The EU-led group, called the “E3+2 and Iran”, had, together with the pre-Trump US administration in 2015, when it used to be called the “E3+3 and Iran”, agreed to lift sanctions on Tehran in return for its freeze of uranium enrichment. But Trump, in May, tore up the accord on grounds it was not strong enough. The threat of US sanctions has seen EU firms such as French and German car makers Daimler, Peugeot, and Renault, German engineering company Siemens, and French energy firm Total walk away from new ventures in Iran. But “we [the EU] cannot accept that the US decided the regions with which European companies can or cannot do business,” Belgian prime minister Charles Michel said after meeting Iranian president Hassan Rohani in New York. “We’re working hard on this [the SPV] with our European partners,” German foreign minister Heiko Maas said. The EU-US rift on Iran comes after Trump started a trade war with Europe and China, threatened to pull the US out of Nato, and pulled America out of a global deal on climate change – the Paris accord. It comes after he also threatened to fine Austrian, Dutch, German, and French firms if they co-financed a new Russia-Germany gas pipeline called Nord Stream 2. The French leader, Emmanuel Macron, attacked Trump for fomenting “nationalism” and “protectionism” in his UN speech on Tuesday. 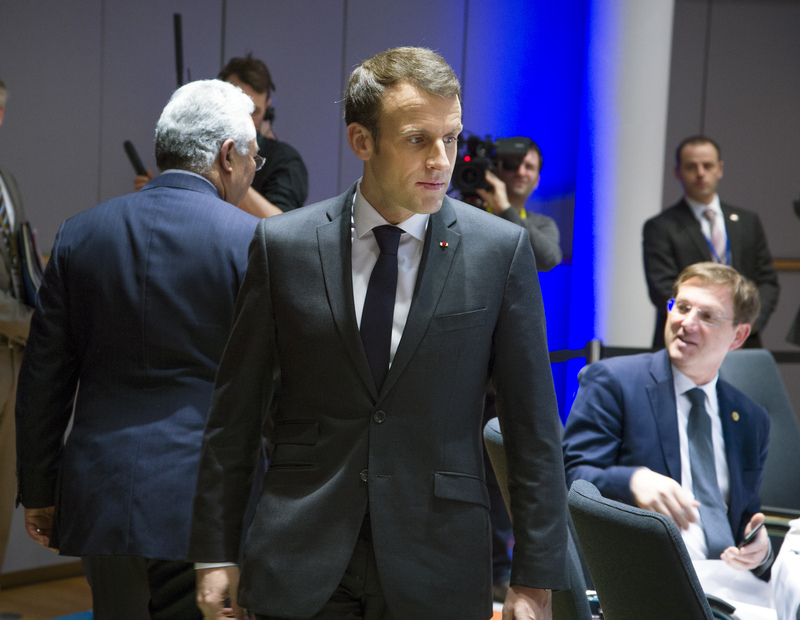 “We’re being pushed around by the unilateral decisions of our US allies,” in an approach that led to “isolation and conflict … to the detriment of everyone”, Macron said. “Even those who contest the reality” of climate change “are suffering its consequences like everyone else,” he added. 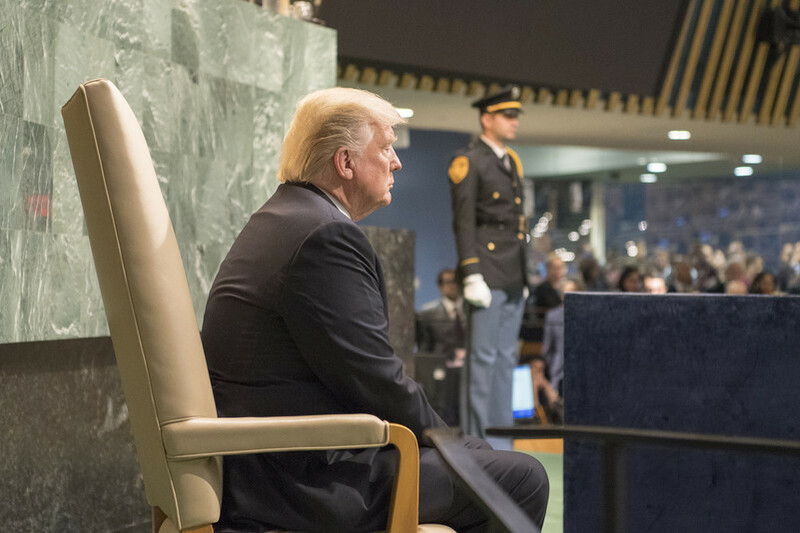 For his part, Trump, in his UN speech, threatened Iran with military force and redoubled his attack on Nord Stream 2. He also praised Poland for “standing up for their independence, their security, and their sovereignty” one day after the European Commission, on Monday, took Poland to the EU’s highest court for political meddling in its judiciary in violation of EU values and laws. Trump’s speech prompted laughter in the UN chamber when he claimed he had achieved more in the past two years than any other US president in history. “I didn’t expect that,” he said. “Confronting multilateralism is not a sign of strength,” Iran’s Rohani told the UN in his speech. “Rather, it’s a symptom of weakness of intellect. It betrays an inability in understanding a complex and interconnected world,” Rohani said.